What do Scientologists do for society? Since the founding of the first Church of Scientology in 1954, Scientologists have been actively involved in the improvement of their communities and society. The Scientology Church has received thousands of awards and commendations for its work in communities all over the world. Many of these awards have come from city and county authorities; others from individuals and groups who appreciated a helping hand. Awards are always valued, but they are incidental to the intention and the deed they symbolize. Scientologists help because as they grow spiritually as individuals, it is natural to expand their responsibility and turn outward to help others. Church members are active in anti-drug educational campaigns in countries throughout the world and have given drug abuse education lectures to more than 500,000 people. Scientologists in Germany, France, Switzerland, Denmark, Belgium, Holland, Austria, Sweden, Norway, Italy and the United Kingdom also lead success popular “Say No to Drugs, Say Yes to Life” campaigns. Top athletes, including Philips, Italy’s most famous volleyball team, and the legendary Spanish football team Real Madrid, have given their support to this campaign by signing the “Say No to Drugs, Say Yes to Life” Honor Roll. Scientologists in Switzerland, France, Germany, Spain and other European countries have organized concerts, marches and other events to promote the Church’s anti-drug message and have reached hundreds of thousands. Today, the European Court of Human Rights ruled unanimously in favour of two Scientology religious groups in Russia, finding they have the right to be registered as religious organizations under Russian law. The decision determined that these groups, the Church of Scientology of Surgut and the Church of Scientology of Niznekamsk, have the right to religious freedom and the right of freedom of association under articles 9 and 11 of the European Human Rights Convention. Along with the 2007 decision of the Court in favor of the right of the Moscow Church of Scientology to be registered as a religious organization under the Religion law, these cases represent precedent-setting rulings that guarantee the freedom of religion and right of association for Scientologists and people of all faiths throughout the forty-seven nations that comprise the Council of Europe. The Court concluded that “In the light of the foregoing considerations, the Court finds that the interference with the applicants’ rights to freedom of religion and association cannot be said to have been “necessary in a democratic society”. There has therefore been a violation of Article 9 of the Convention, interpreted in the light of Article 11″. The Russian Scientology Church in St. Petersburg also has cases pending in the European Court of Human Rights for similar discriminatory harassment concerning their registration. The Scientology religion was founded by L. Ron Hubbard. The first Church was established in the United States in 1954. It has grown to more than 8,000 Churches, Missions and groups and ten million members in 165 nations. The Russian Federation has more than 73 Scientology Churches and Missions from St. Petersburg to Vladivostok. For more information about Scientology, see www.scientology-moscow.ru or www.scientology.org. The Church of Scientology YouTube Channel is releasing 50 new “Meet a Scientologist” testimonial videos, featuring documentary video clips of Scientologists from various professional backgrounds, their stories about what Scientology is, and how practicing Scientology religious beliefs has impacted their lives. LOS ANGELES, Aug. 18 /PRNewswire/ — The Church of Scientology International is launching a series of testimonial videos on its official YouTube Channel called “Meet a Scientologist,” which showcase the lives and careers of everyday Scientologists. YouTube users will be able to view 50 videos to start, with 100 more videos scheduled to follow in the upcoming months as part of the Church’s continuing efforts to expand its presence in the world’s largest online video community. The “Meet a Scientologist” videos, which were shot on location, focus on individual Scientologists who explain how the religion has helped them, whether by teaching effective communication skills, learning to be confident in their abilities, or generally improving their life. Videos highlight members of Scientology from all over the world and all kinds of professions, including doctors, educators, inventors, athletes, actors, musicians, students, photographers, business owners and more. These new videos are based on one of the core principles of the Scientology religion. L. Ron Hubbard, founder of the Church of Scientology, discovered that understanding is composed of affinity, reality and communication. With the conviction that this applies to any aspect of life, the Church of Scientology seeks to increase understanding of Scientology and Scientologists by applying this principle to online video, while at the same time, providing information through personal stories. A pioneer and leader in the online religious community, the Church of Scientology was the first religion to create its own official YouTube Video Channel in April 2008, with 82 broadcast-quality videos comprising nearly three hours of content in a unique video player. To date, it has been seen by over 2 million visitors. The Church of Scientology has also launched an online public information campaign with 30 and 60-second flash presentation conveying the essence of Scientology. These spots address the most fundamental questions people ask about life–questions for which Scientology has effective answers. To watch the new “Meet a Scientologist” videos, visit the Scientology Video Channel on YouTube at video channel at http://www.youtube.com/ChurchofScientology. Since 1954, when the first Church of Scientology was founded, the religion as grown to approximately 10 million members and is present through its churches, missions or groups in over 150 countries around the world. Wherever the church exists, it endeavours to register as some form of non-profit ssociation with religious purposes, according to the laws of that country, with the exception of countries where such registration is not possible. The legal systems of each country often differ significantly. Some have official registries of religions here all groups are obliged to register and meet certain criteria. Others take the opposite view and specifically prohibit keeping official lists of ‘accepted’ religions onsidering that this is not a matter that falls within the jurisdiction of the State. Governments and courts of many different countries recognize the religious character of Scientology. 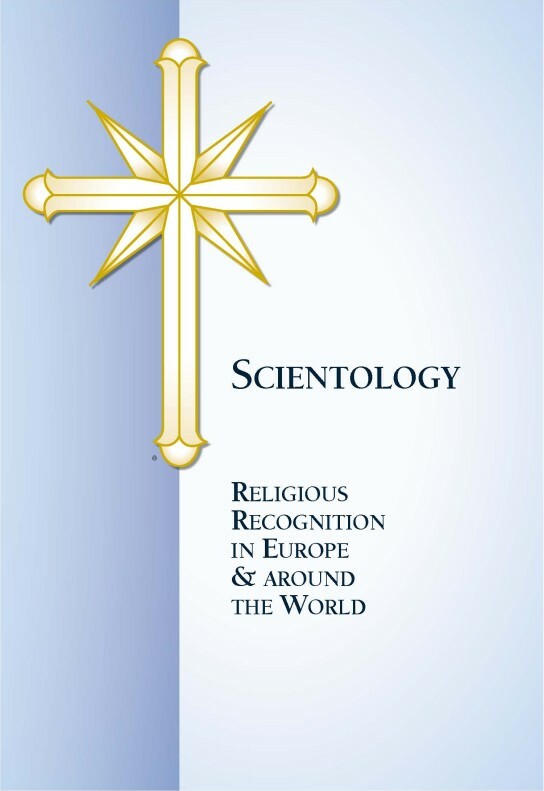 This booklet is intended to give some understanding of how Scientology is seen in Europe and elsewhere around the world. countries who are not part of the EU), Scientology has been recognized as a religion in the following – Sweden, Portugal, Hungary, Slovenia, Croatia and Albania. The majority of States in the European Union have other forms of recognition. In many of these countries, Scientology has been recognized as a religion through administrative and judicial decisions, including decisions by the highest court in the country. These decisions include the following countries – Italy, Denmark, Austria, Germany, UK and Norway. There are many other judicial, administrative and registry recognitions in other countries of the world too. Some examples are – USA, Australia, New Zealand, Canada, South Africa, Nepal, Tanzania, Kenya, Zimbabwe, Taiwan, Kazakhstan, Kyrgyzstan, Venezuela, Ecuador, Costa Rica, Brazil, India, Philippines and Sri Lanka. rulings in many European countries. Finally Scientology has been recognized and registered as a religion in many countries that have a religious registry. This booklet is currently available in english, spanish and russian. The turning point for the Church occurred in April of this year with a unanimous decision by the European Court of Human Rights in favor of the Church of Scientology of Moscow. Spain also officially recognized the Scientology religion in November.